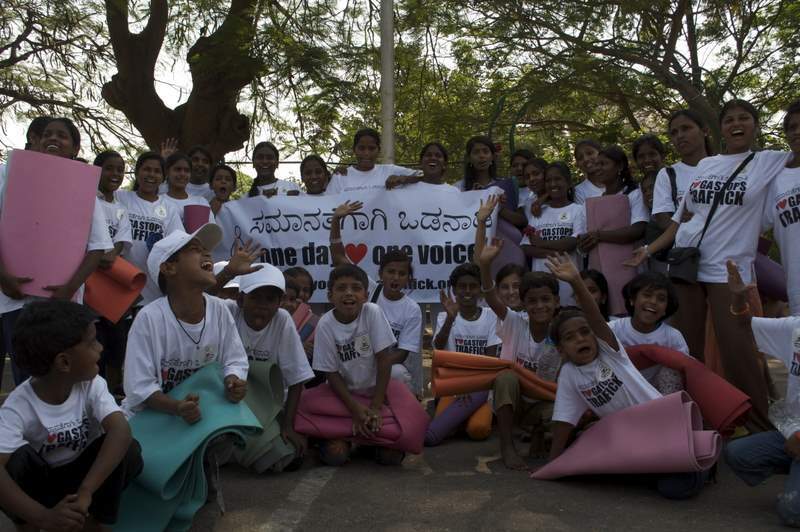 YOGA STOPS TRAFFICK is a worldwide yoga event to raise awareness about human trafficking. This year more then 150 yoga centres participated from Chile to Sweden and Egypt to Australia. The raised funds through this event will be used for Odanadi’s essential rehabilitation program. Here’s a special message from the founders of Odanadi, Stanly and Parashu, to everyone who contributed their time and effort to Yoga Stops Traffick 2015! Discover how you can get involved!